A measles epidemic has reportedly killed more than 1,200 people in Madagascar with more than 115,000 cases. The World Health Organization (WHO) said that those killed from the outbreak have been mostly children under the age of 15. The Associated Press reported that about 58 percent of people on the main island have been vaccinated. 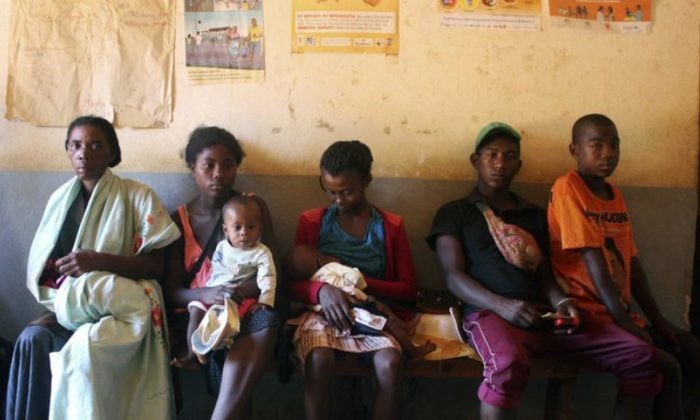 The outbreak, which started in September, has worsened due to malnourishment, AP reported, adding that about 50 percent of children in Madagascar don’t get enough nutrition due to economic reasons. It’s one of the main reasons for the epidemic, the report noted. In a country like Madagascar, where they are battling a deadly outbreak and vaccines are in short supply, the US and European anti-vax movement infuriates physicians. “The epidemic unfortunately continues to expand in size, though at a slower pace than a month ago,” Dr. Dossou Vincent Sodjinou, a WHO epidemiologist in Madagascar, told the news outlet. Health officials say that many people don’t have access to vaccines, either because there aren’t enough or families are too poor, Reuters reported last month. However, “Malnutrition is the bed of measles, ” Sodjinou added in the AP report. Madagascar is among the poorest countries in the world. Epidemic of measles in Madagascar has caused more than 900 deaths, World Health Organization says. “Immunization is not the only strategy for the response to this epidemic. We still need resources for care, monitoring and social mobilization,” he added. “I could not afford to take him to the hospital,” Dada, a local, told Reuters about his son. Her child narrowly survived the ordeal after days of vomiting and diarrhea. The risk of the outbreak, according to the website, is “very high” in the East African nation. “Currently, several concomitant factors are likely to hinder or delay public health intervention and might jeopardize the response: post-election conflict, geographical isolation and remoteness of cases, insecurity, hurricane season and multiple outbreaks,” states ReliefWeb. The U.S. Centers for Disease Control and Prevention (CDC) recently issued an update on the number of measles cases in the United States. The agency reported 387 cases across the country from Jan. 1 to late March. States that have reported cases of the virus are Washington, Texas, Oregon, New York, New Jersey, New Hampshire, Missouri, Arizona, California, Colorado, Georgia, Illinois, Kentucky, Michigan, and Connecticut, according to the agency in a bulletin on March 28. In comparison, there were 372 cases of measles for all of 2018, the agency noted. And in 2017, there were 120 cases, while in 2016, there were 86 cases. In recent years, the most outbreaks in a single year occurred in 2014 when 667 cases of measles were confirmed, the agency said. The CDC noted that the virus can also spread in areas of the United States where groups of people are not vaccinated. Meanwhile, the CDC defines an “outbreak” as three or more cases in an area. A new drug may soon be used to address measles outbreaks, but researchers insist it’s not meant to replace vaccination. Instead of freaking out, a TV family portrayed what real-life families encountered. A New York college student with measles boarded an Amtrak train at Penn Station, located at 34th street in Manhattan, officials said.